Academy Award and BAFTA nominee Marianne Jean-Baptiste, is set to star in the ghost story IN FABRIC, it was announced today by producer Andy Starke. Peter Strickland will direct the feature film from his own original screenplay. Starke developed the project in association with Ian Benson at Blue Bear Film and Television and will produce via his production company Rook Films. The project is co-financed by the BFI with funding from the National Lottery, BBC Films and Head Gear Films. The film is executive produced by Lizzie Francke for BFI, Rose Garnett for BBC Films, Stephen Kelliher and Patrick Howson for Bankside Films, and Phil Hunt and Compton Ross for Head Gear. Bankside Films will handle worldwide sales for IN FABRIC and is presenting the film to international buyers at the Toronto International Film Festival. Set against the backdrop of a busy winter sales period in a department store, IN FABRIC follows the life of a cursed dress as it passes from person to person with devastating consequences. Principal photography will commence at the end of October in the UK. “Peter is one of the most unique and visionary directors we have. It’s fantastic to be working with him and our partners on In Fabric to bring this magical script to life” said Starke. Rose Garnett, Director of BBC Films, said “Peter has written an intense and haunting script filled with chilling moments and twists along the way. He and Andy have assembled a diverse, top-notch British cast to inhabit this dark world and breathe life into its characters”. 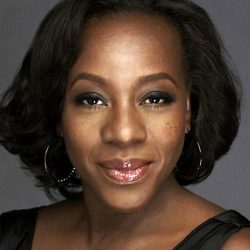 Marianne Jean-Baptiste was nominated for both an Oscar and a BAFTA Award for Best Supporting Actress her performance in Mike Leigh’s SECRETS & LIES. On the small screen, she is most well known for her role as FBI agent Vivian Johnson in WITHOUT A TRACE which aired for seven seasons. Her other credits include a recurring role in season 2 of BROADCHURCH, BLIND SPOT and ROBOCOP.